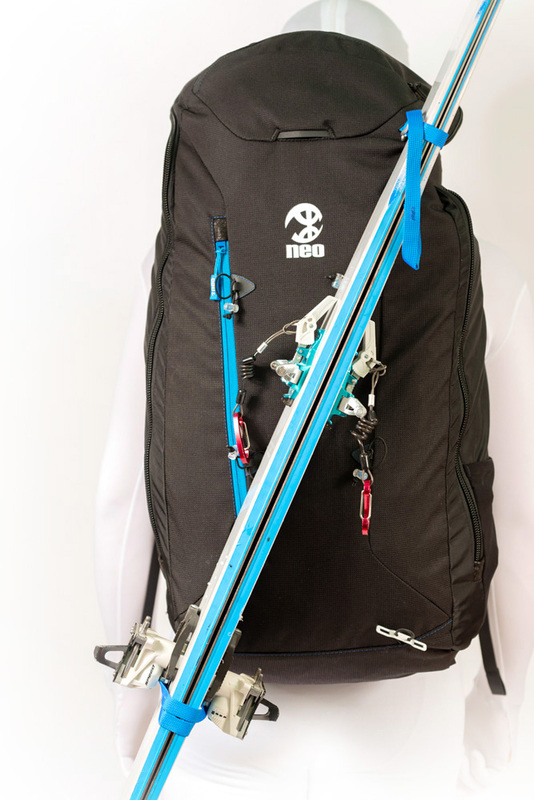 Original and exclusive rucksack/harness concept by NEO, designed for better integration of the bag in flight whilst retaining a light and comfortable harness. 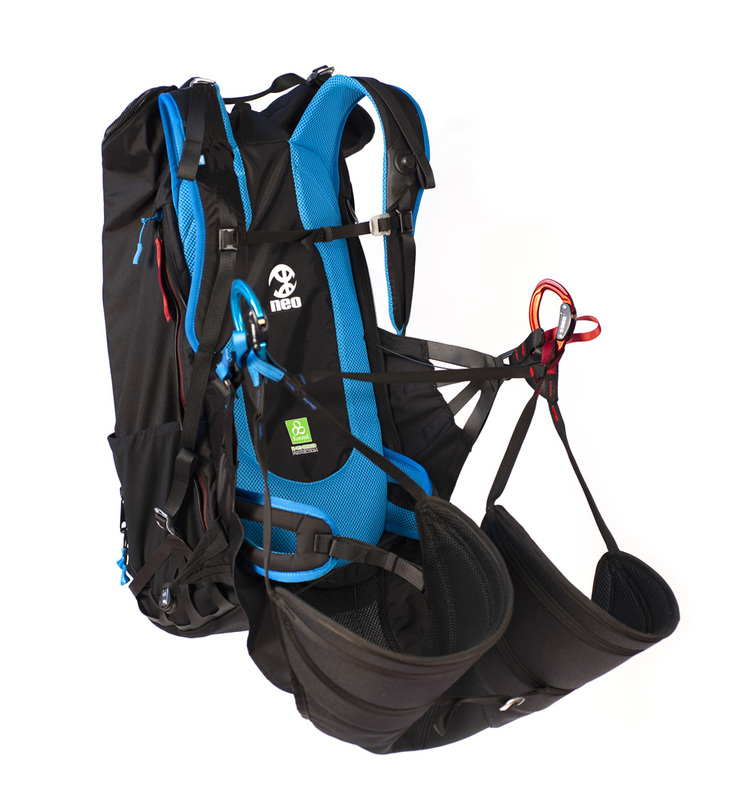 – The Shorty harness is fitted with KOROYD Propack back protection. 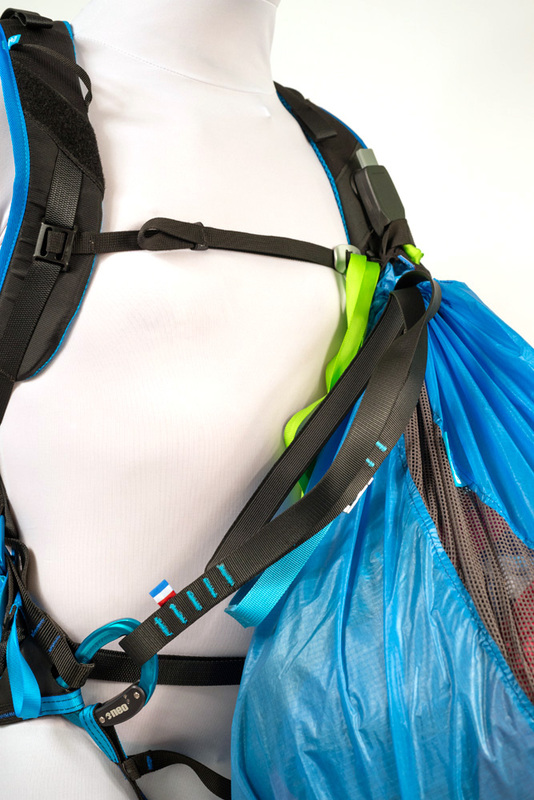 – Optional Fidlock bottle which attaches to the backpacks shoulder strap. 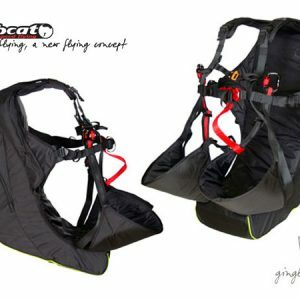 The Shorty harness has leg straps and ABS geometry with lateral inclination adjustments as well as a retaining strap between the 2 leg straps. 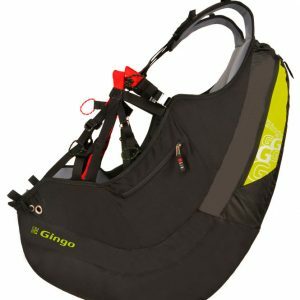 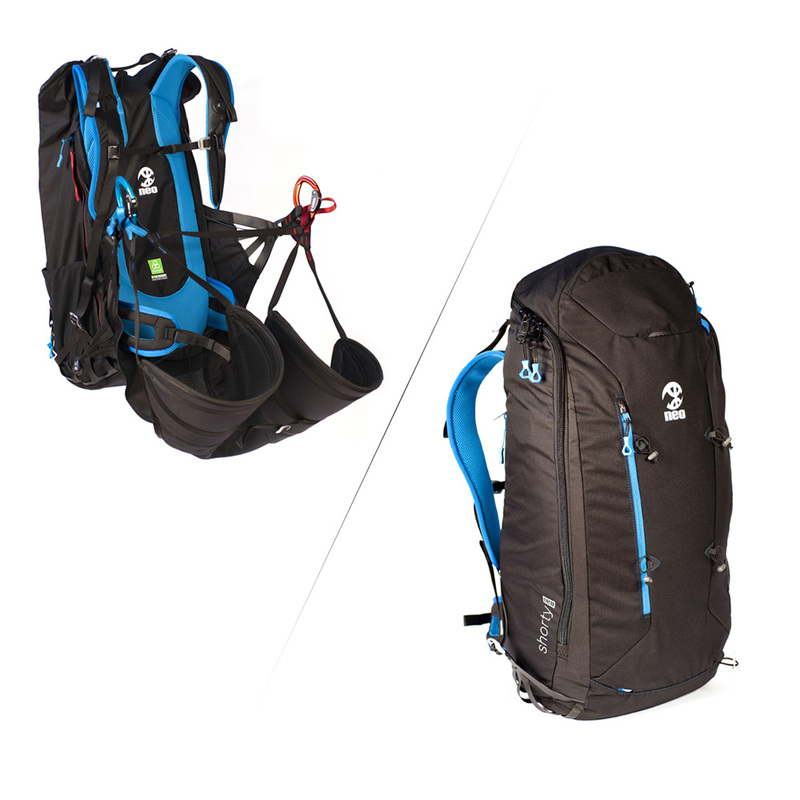 The glider can be packed in the rucksack whether it remains attached to the carabiners or not. 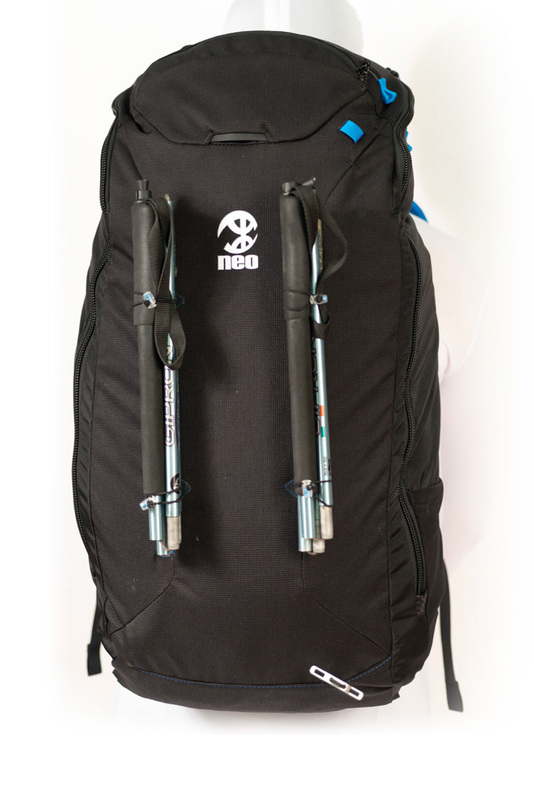 The Shorty rucksack features ice axe and walking (or ski) pole holders. 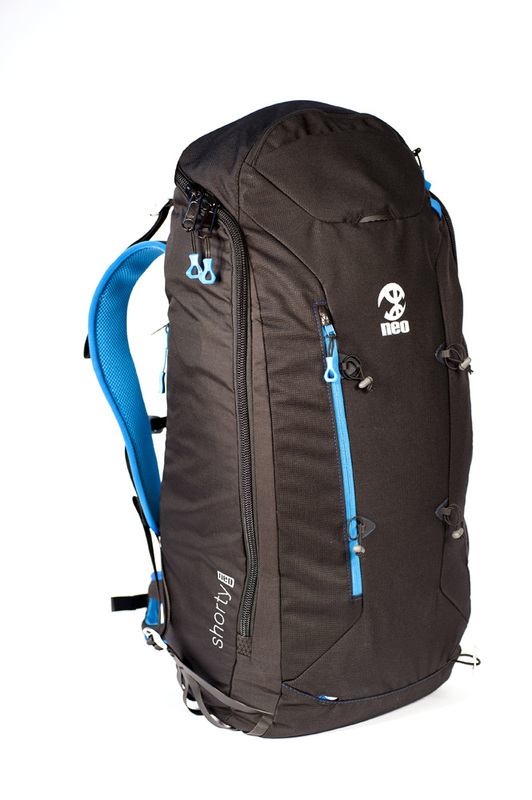 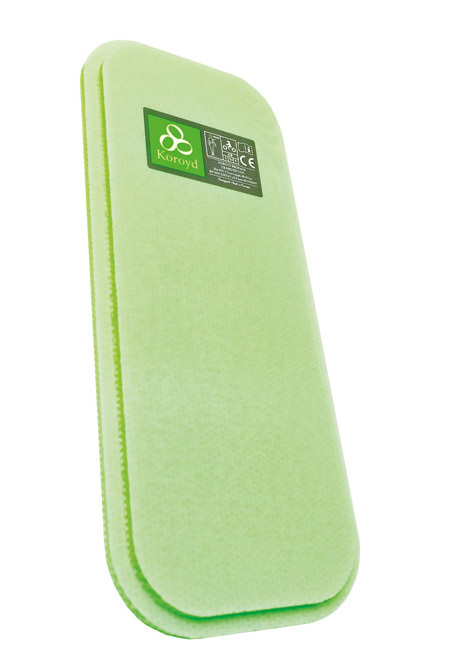 Thanks to its 65 litre volume, it is suitable for any type of glider folded in a compression or Easypack bag. 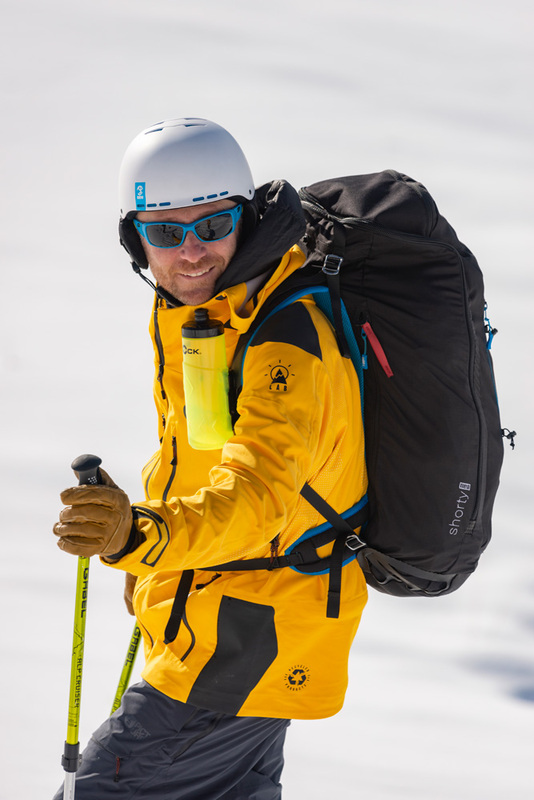 Safety first – the Shorty is delivered with the flexible and integrated KOROYD Propack back protection, designed to protect the spine against impacts. 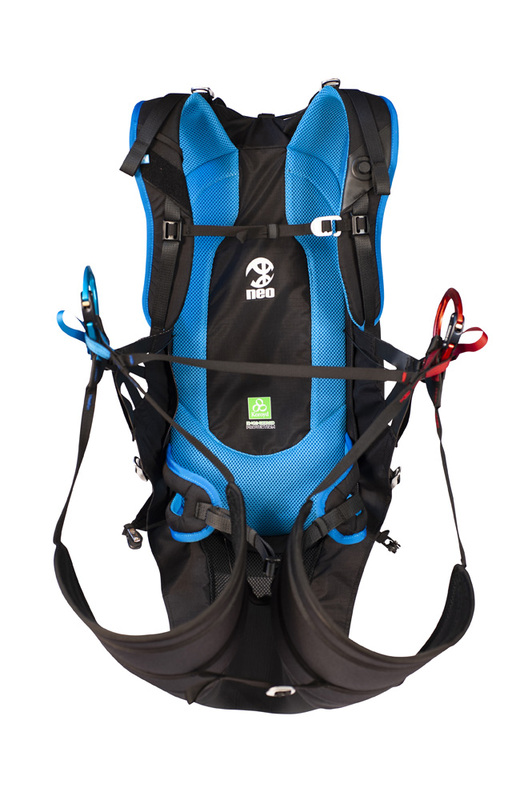 Also available is an optional LTF certified removable airbag specially designed for this harness. 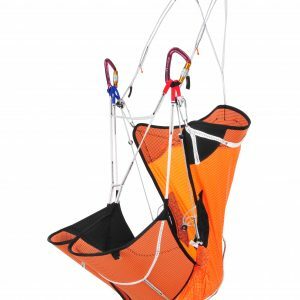 It is possible to order the harness with the NEO front container for a rescue parachute. 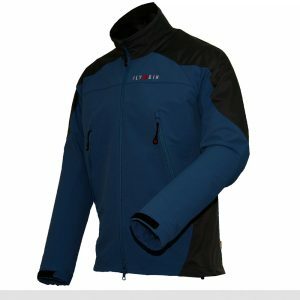 Due to its geometry and concept, the Shorty is extremely precise in thermals. 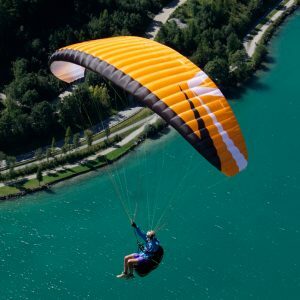 Its inclination and depth were designed so the pilot stays closed to the glider, inducing a dynamic maneuverability, less fatigue while piloting and more stability; the glider and the harness are perfectly coordinated. 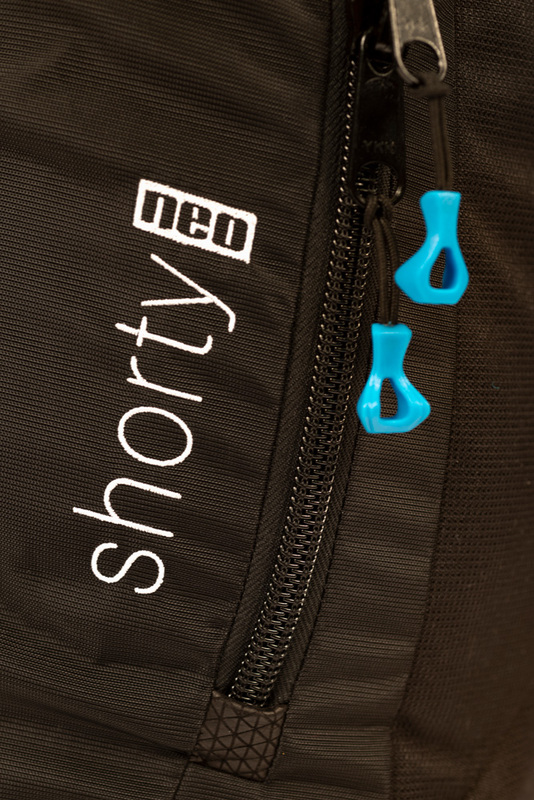 The Shorty was designed to make it easy to switch from sitting to standing position. 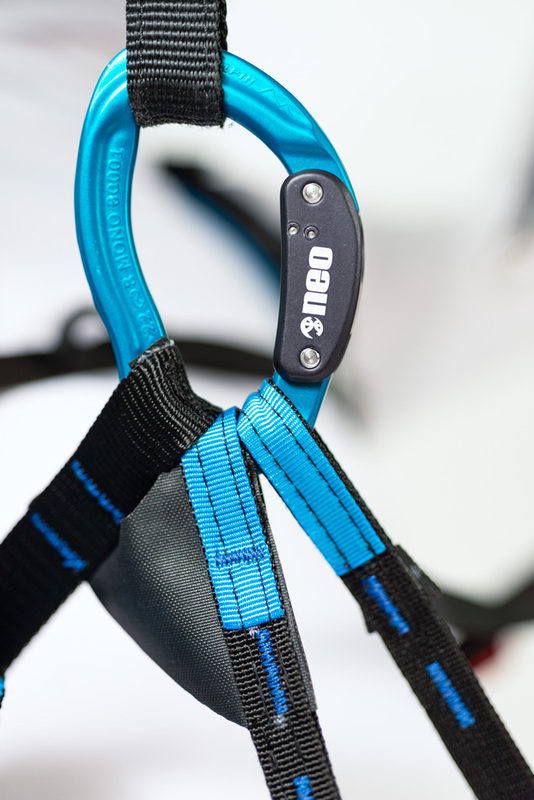 In addition, its geometry makes the harness incredibly comfortable no matter what the position of the skier is. 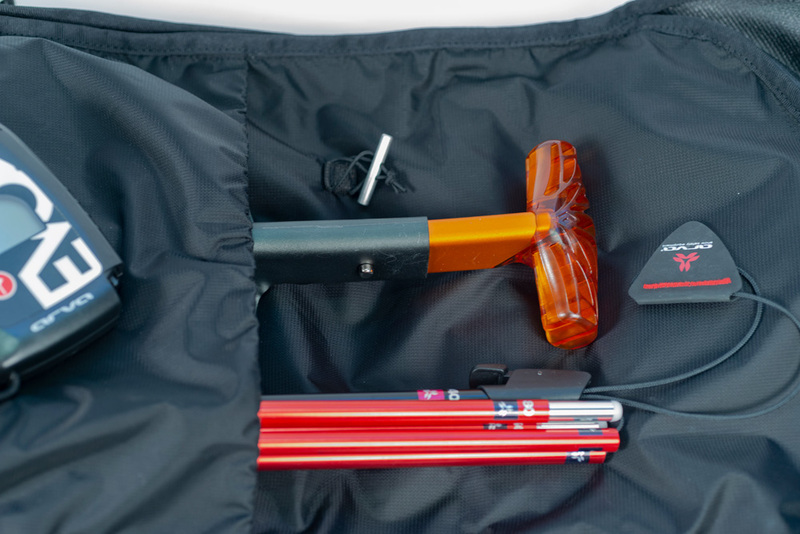 The Shorty comes with the flexible and integrated KOROYD Propack back protection, which is to this day the lightest and most breathable protection in the world. 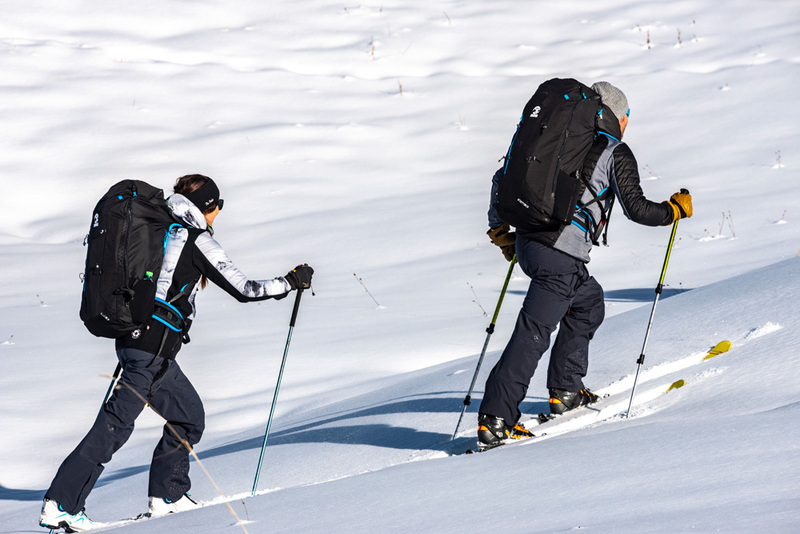 Made of robust fabric extremely resistant to abrasion, and featuring a multitude of pockets, the Shorty is a very practical speedriding tool: 2 front pockets, one for your ski goggles, 1 Lycra side pocket for your fast packing bag, 1 internal pocket for a snow shovel and avalanche probe (not supplied), ski holders and the possibility to stow telescopic poles before taking off.